Similar to The Classic Package, The Deluxe Package offers full coverage of services for your entire wedding. These lights are a MAJOR step up! 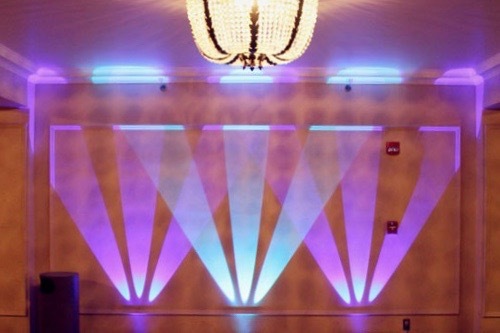 Your dance floor will have top of the line lighting pillars with a lighting operator matching the mood of the music. 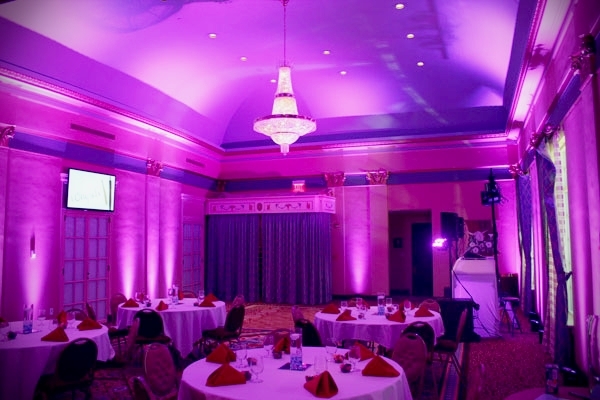 We also include a full lighting atmosphere with uplights that shine vertically along your walls and pillars. If your venue allows, we will provide fog or haze for that enchanting atmosphere. To take this package to the next level, consider adding our “Wall Art Lighting” for a breathtaking backdrop to your bridal table, or an accent wall. Travel rates may apply to your lighting operator. This lighting package is based on availability. Should the lighting set already be booked, consider adding upgrades to the Classic Package, such as uplights ($50 ea), wall art lighting ($55 ea) and fog or haze ($75)!